KSW. Roland, how long have you been involved in Arnis and what inspired you? R.D. Well, the living legend here with us, Remy Presas, was very instrumental in getting me started in the Filipino martial arts. You see, I was a physical education major in high school. In my senior year I was required to choose two elective subjects. I made the choice of Modern Arnis as an elective. At that time in the Philippines the foremost teacher of Arnis approved of by the Department of Education was Professor Remy Armador Presas. It was an honor to meet him and study under his guidance. Since that time, I would say I got hooked on the art of Arnis. The training with Professor opened up my personal ideas on the Philippine martial arts and broadened my scope and concepts of the art. It became very evident to me that Arnis blended very well with other forms of martial arts. KSW. Roland, that is a truthful statement to the diversity of Arnis, it must have been an exciting beginning for you’re training. Without a doubt the Philippines are a melting pot of southeastern cultural martial arts and offer a very unique base of systems to extract technical information from. Would you agree the martial arts have provided a positive path of physical and spiritual development for people worldwide? R.D. Yes, teachers of martial arts have touched our communities with positive results by sharing the value of personal development through self-defense, increased confidence, and a sense of pride. This was especially true for me while training under Professor Presas. It evolved me to understand myself and become more compassionate towards people no matter what region or country they came from. Many years ago, martial arts were about protecting local people and your family from hoodlums or criminals. In villages, the true keepers of justice were the martial artists. 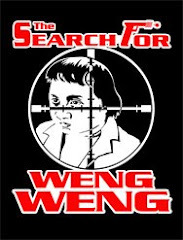 Before a police officer could arrive at a crime, it was common for the martial artist to step up and challenge the ruthless criminal elements. This helped to provide a better community for all the people to live and lessened the immediate threat of danger. Martial artists have come a long way bringing certain positive attributes to light such as personal protection, confidence, loyalty, and self perceiverence. With time, martial arts not only addresses the physical art but excels personal goals further into spiritual refinement developing a spiritual strength that very few sports can attest to offer. KSW. How true Roland, it goes without saying, Professor Remy Presas has been a motivational force for you for many, many years. As a young defiant youth in your past, to martial arts movie star and actor today, Professor Remy Presas has definitely influenced your life and enhanced the lives of thousands people worldwide. In his lifetime he committed a serious amount of dedication to the development of Modern Arnis. I know as we sit here with Professor, he is in awe of how his dreams have come true with the worldwide propagation of Modern Arnis. What can you share with us about Professor and his time in the Philippines and how he is respected there? R.D. Well the Professor, even to this day is a living legend. Yes he is a living legend Datu, because what he has accomplished in his goals. I remember in the early days when life was hard, he said to me, "Roland mark my word, I would like to propagate this art and share it with the rest of the world, because this art has so much to offer for everyone." Well, this is the year of the millineium. I take my hat off and I'm down on my knees with respect and honor to this man! Remy Presas is a living legend, a living testimony to the Philippine arts. When he was in the Philippines, he was twice chosen and presented the top Arnis award of our country, the Siglacas Award. Siglacas meant - Sigla Lacas two Filipino words, in broader English words "Sigla" means skill. "Lacas" is strength and power. Siglacas is skill, strength and power. The Siglacas Award is given annually to the sports athletes who excel to the highest level in their individual sport category each year. It could be basketball, swimming, or boxing, and the Professor was twice awarded that honor for his efforts in Arnis. To this day, no such award has been presented to another Arnis practitioner in the Philippines. In the Philippines, many people felt we lost him because he moved to the United States to live here. Hopefully, and I say hopefully, our future plans in the Philippines are to revive a National Arnis Award. I have spoken with the Department of Tourism in regards to eventually host an invitational goodwill tournament. A nationally sponsored event so practitioners of Philippine Martial Arts from around the world irregardless of style would be invited to the Philippines to meet and compete with other Arnis brothers of the martial arts. KSW. Wow, that’s a big step Roland, it would be a great event in Filipino martial arts history. I know Professor Presas has inspired your desire to unite the tribes and he has actually offered to co-sponsor such an event to honor all the senior masters of the islands. Professor Presas has confided in me and is honored by your personal commitment to such a task. On several occasions he mentioned to me, “if anyone could achieve results in organizing a national event it would be Roland Dantes”! Additionally Roland, it is motivating to see you so excited about being involved in an international committee to assist all Philippine martial arts worldwide, what can you tell us of your work with Arnis Philippines. R.D. Yes, the mother organization for all martial arts in the Philippines is Arnis Philippines. But let me touch first on the word Arnis. You see the terminologies in the Philippines is varied to a lot of people, sometimes the arts are referred to as kali, escrima or arnis. We have actually 52 dialects in the Philippines, mind you we have 7,000 100 plus islands and inlets. What the country did several years ago was rationalize the dialects and find one, which is "Tagolog," to make it our national language. In this manner communication from region to region, island to island is less confusing. In the situation of travelers or visitors when you come to the Philippines everybody for the most part can understand and speak English. English is the medium of instruction in all schools, although tagolag and is required learning and a vital aspect of our educational curriculum. Now you can see why the term Arnis is used to describe our national art. KSW. Okay, let's discuss specifically organizing the martial arts of the Philippines. R.D. In the Philippines right now I hold the position of Commissioner for International Affairs for Arnis Philippines the official body under the Philippines Sports Commission. Additionally each sport division has official representatives. For example, the Philippine Karate Association (PKA) is the official karate association recognized by the government. Additionally the Philippine Judo Association and the Philippine Aikido Association also have officers and board members. The independent sports groups have sets of officers whom sit in with the Philippine Sports Commission and the Philippine Olympic Committee to help establish national and regional guidelines for events and judging criteria. Then also of course there are other groups. There is the World Escrima, Kali, Arnis Federation, W.E.K.A.F.. W.E.K.A.F. encompassed N.A.R.A.P.H.I.L., which was the first national organization and it was formed while the late President Marcos was in power, N.A.R.A.P.H.I.L. stands for the National Association Republic of the Philippines. All of these independent governing bodies are doing very well. Unfortunately, there are other groups when it comes to political affiliate that should not be happening. Ideally, as Commissioner of International Affairs I would like to see everyone coordinate their efforts and help each other regardless of association agenda because it is the art that is important and not so much the style. By assisting the other, independent Philippine arnis, kali, or escrima groups could communicate and support each other in whatever projects they are doing. In this way the Philippine martial arts have so much more to offer the world as a complete cultural art. Each independent style would truly compliment the other systems without political tensions. The goal and program of Arnis Philippines is to provide cultural information and assistance in these matters. Currently the governing body of Arnis Philippines invites all practitioners regardless of affiliation to communicate and ask the governing body of Arnis Philippines to assist in supporting their projects or events. In fact, two years ago I went to the W.E.K.A.F. World Championships in Cebu. At that event, I was warmly welcomed by the W.E.K.A.F. President, Grandmaster Dionesia Canete. Additionally, I was invited to the Championship Night Ball where they presented the event awards to competitors from the Philippines and other countries worldwide. I personally commended Grandmaster Canete for a job well done, the event reflected on the country as a whole and I mentioned how important unity within our country is. Through sports events and Arnis competitions we can organize and communicate with groups to advance Arnis, Kali, and Escrima worldwide. Independently, there are a lot of Arnis and Philippine martial arts groups worldwide and in the mother country. I would like to commend each and every group, because all of the individuals and styles are helping in one way or another to propagate the art. To this day, the Philippine martial arts have become accepted and spread tremendously throughout the world. The art is easy to assimilate and blends into whatever discipline or art a person may practice whether it is Karate, Aikido, Tae Kwon Do, Thai Boxing, or JKD. The main reason Arnis is so instrumental today is because Arnis really enhances a practitioner’s knowledge base, especially when it comes to weaponry. Incidentally, I would like to acknowledge Datu Kelly Worden for his tremendous efforts. I am just amazed at how he has progressed his martial arts career, especially in the field of Philippine martial arts. I take my hat off to him. I commend his specialization in the knife, the knife techniques of the Philippine martial arts. The principals of knife tactics will benefit anyone. You only need to see it once in action to understand how effective the Philippine bladed arts truly are. The Philippine martial arts are multi-functional no matter if you are armed or unarmed. This is the real value of what the Philippine martial arts can offer. A lot of people think it is pure weaponry. No, it is not. We have the terminology Mano y mano, which is hand-to-hand, or empty hand skill. In reality the art translates to mean whatever you learn with the stick will translate into other skills. The flow is different but the physical movement will over lap, weather it is with a knife, stick, sword, or even improvised weapons. Bottom line, the practitioner does not have to be dependant on a specific training tool or weapon to develop physical proficiency and become effective in self- defense situations. It is this depth of instruction, skill, and attribute development that Datu Kelly shares with students during his highly successful instructional programs. Not only the sheer amount of information relayed but his teaching style and instructional methodology is very much like Professor Presas and that is what impresses me the most. I have personally witnessed his style of instruction. The effectiveness of his teaching is really quite evident especially during his work with the U.S. Army Special Forces. Congratulations on your efforts and propagation of Modern Arnis and Philippine Martial Arts worldwide. KSW. Thank you Roland for those kind words, I would like to discuss a politically intriguing subject as Professor Remy Presas listens in on our discussion. In many ways you are a direct link into the current state of the martial arts in the Philippines and worldwide. Professor Remy Presas has appointed his most senior instructors the title, Datu of Modern Arnis. These individuals he trusts to represent Modern Arnis with the responsibility of reaching out to spread the art of Modern Arnis to other schools and styles. Roland, could you clarify the meaning of this title or status? R.D. Thank you for that question. I think there is a lot of people who have the wrong interpretation of the word Datu. First and foremost I was born in the south of the Philippines. I was born is Catabotto, which is on the island of Mindinao. The whole island of Mindinao is where you'll find the majority of Filipino Muslims, in the Muslim faith. A Datu can mean the leader of a tribe, a prince, a member of a family of higher class or status in the community. A Datu title doesn't imply it is an older person, no. Datu can be a young man or an old man. There is no age barrier when it comes to Datu. That title is given because an individual has achieved an accomplishment, has earned the respect. The title was given to them by a Muslim elder as a form of recognition for his accomplishments. Datu can mean all those things. KSW. On that subject Roland, your father was a military man and a General in the Philippine Army. I understand by our past discussions he was also referred too as Datu by his people, is that correct? R.D. Exactly, my father when he passed away he was a Brigadier General. At that time there were only four Generals of the Philippine Army. Each General represented one of the four major groups of islands in the Philippines. He was the Commanding General of the fourth military area, which in fact was all of the islands located in the south of the Philippines. That's Mindinao, Haloes, Sulu and Palowan, the territory of the islands closest to Indonesia and Malaysia. I have Filipino Muslim relations on my father's side of the family. The Muslim group that respected him called him Datu. In recognition of his accomplishments and being a successful military officer they gave him the title of Datu. Additionally my father had a friend that was the mayor of Catobatu City, the province in which I was born. The Muslim group of that area had great respect for him. The admiration of his accomplishment, representing them, and for helping them out in all forms they gave him the title Datu. In that respect, if you were to address him you might call him Mayor. The Muslims, they would call him Datu. So Datu, can be a title for whatever category in society or position a person has achieved or become accomplished. That is a perfect example of my definition of what a Datu represents. KSW. Here in America, there has been a small group of outspoken individuals that disagree with the usage of the title and imply that Professor Presas and those few he has appointed and promoted to Datu offend the mother country and status of Datu by using the title in association with the highest rank and level of Modern Arnis. Do you find it offensive that Professor Presas, who is here in the room with us right now, would use the title Datu to distinguish his most senior accomplished students? R.D. No, not at all, that is why I called you Datu earlier in the interview Kelly, because I gave you that respect too. I admire what you have done in propagating the Filipino martial arts so I personally choose to call you Datu. That is a terminology out of respect for what you have accomplished. I would also like to point out, you and Professor's chosen few are not the only westerners to use the title Datu. I have a friend who married a Filipino Muslim. He is also American. The group of Muslim elders around the area he lived in gave him the Datu, because they loved him for what he had done for the people in their providence in Mindanao. He accepted their faith, by doing that as well they called him a Datu. Even if he did not accept their Muslim faith, they still would have called him Datu because of their admiration and respect for him. So as you see, the Professor giving you recognition for your commitment and achievement in Modern Arnis bestowed the rank and title of Datu to you. Professor has also shared with me in our conversations that you are without a doubt the most dynamic and knowledgeable martial artist he has promoted within Modern Arnis here in America. KSW. Thank you Roland, and of course, thank you Professor, (Acknowledged). I owe a great deal of gratitude to Professor Presas, without him I surely wouldn't have excelled in the arts to the degree I have today. I am truly honored and being the first Datu promoted in America by Professor Presas was quite a shock to me especially back in 1988 at the time of my promotion. As a matter of fact I really didn't understand the promotion, it was Datu Shishir Inocallo, who explained and shared the status of Datu of Modern Arnis with me so many years ago. Additionally, it has forced me to take a stand, grow, and achieve higher levels of martial skills. Always keeping myself in check, doing the right thing with the right people for the betterment of the Arts. In the martial art circles we are connected through the brotherhood of the art and through the positive actions of martial artists worldwide. Our discipline guides us to improve and present ourselves as better citizens on a daily basis. This viewpoint is just a small example of how Professor Presas impacted my life. Roland, many of our readers probably don’t realize that you were a former police officer in the Philippines and you have been quite involved with introducing the D.A.R.E. program in your country. R.D. Yes, Datu Kelly, it is important for us as martial artists to become involved with today’s youth. My friend, Chuck Norris, works very hard here in America with his “Kick Drugs Out of America” program, which is very admirable. This is just an example how we as martial artists can become positive role models for kids. The Philippines is one of 80 member countries, that’s 80 countries worldwide involved in the D.A.R.E. program. D.A.R.E. stands for the Drug Awareness Re-Education Program, the syllabus. The D.A.R.E. program involves police officers visiting elementary schools, both public and private schools. In the Philippines we start at Grade 4 and up. It has been extremely effective. Today we have a much lower rate of drug involvement. A large majority of kids don't even try to experiment any more. Children learn about all sorts of drugs up to chemicals like glue and high-octane gasoline. Most importantly they now know what negative effects the drugs have on their health and their future. I was so touched by the children's positive response to the program. I became a role model sharing my experiences as a bodybuilder, martial artist, movie star, and a police officer as well. In this way children will see if they don't get involved with drugs they can achieve their goals and stay healthy. At the time of my involvement, I would ask the kids who is the most important person in this room? They kids would say excitedly "You, Mr. Dantes." I said, "No, it can't be me?" They looked around, then looked at each other ... suddenly they all yelled excitedly, "We, we are the ones!" I said, "Why?" The children replied, "We are the future of the nation! We are the future generation and we are the future of everyone. If we are healthy we will also know what we are doing is right." Now what would you do if someone you don't know is hanging around the school offering you candy or drugs to lure you away? The children answered, "I will look for my friend the police officer." So you see the D.A.R.E. Program interaction changes the image of the police officer. Most kids are afraid of the police officer. You know when I was a kid I was kind of afraid of cops. You get that feeling when you'd see a uniform even if you hadn't done anything wrong you think you should be caught doing something (laughter). Now we have instilled the concept of a police officer in uniform is your friend. I can honestly say without a doubt, the D.A.R.E. program has made a positive difference in my country and I am proud to have been involved as a role model for the future leaders of our society! KSW. Roland, thank you. You have touched on an extremely important factor for our society today. The information you share with us clarifies your compassion for children and the future of our next generation worldwide. Roland is 100 percent correct, if you have children make every effort to get them involved in the D.A.R.E. program as well as other education programs emphasizing personal development. KSW. Just to get a better understanding of your foundation, let’s touch briefly on your physical education training and how that led to you becoming Mr. Philippines through bodybuilding? R.D. Yes, bodybuilding came to me almost like an accident because I was actually playing high school basketball at that time and had an injury to my right knee from falling. The rehabilitation program I was brought into introduced me to the weight training, which led to bodybuilding. When I started getting results I dedicated myself totally (laughs) pretty soon I was competing. Fortunately, I met one gentleman who was instrumental in bodybuilding, Mr. Pedador (need spelling). I think he lives in San Francisco now. Mr. Pedador programmed my workouts and I entered my first competition and won the National Mr. Novice. This event was just for beginners of bodybuilding. Winning that event inspired me to push myself all the way. KSW. Thank you that’s an exhilarating step for a young man’s future. Roland, theirs is no question how beneficial and dynamic weight training is, when did things really start to happen for you as a professional bodybuilder? R.D. Well (laughter), my first time to win the Mr. Philippine’s title was in 1969. Part of that prize responsibility was to represent the Philippines in the Mr. Universe Contest. At that time, the Mr. Universe Contest took place in New York City. Mr. Universe comprises all the contestants from different countries. This 1969 was the year Arnold Schwarzenegger won and he represented Austria. As a representative of the Philippines I became the fourth runner up in the Mr. Universe Contest. KSW. Through the competitive arena, Arnold and you became friends. Could you share a little insight into that friendship with our readers? R.D. Strange things seem to happen for different reasons Datu Kelly. Sometimes I hear negative comments about Arnold and I get a little upset because I don’t think most people know the true personality of Arnold. Arnold is a very nice guy, a true gentleman. Because when I first met him he only knew a few words of English. Arnold really pushed himself learning more about conversational English attended college to further his communication skills and look what happened, in no time he reached his goal. Anyway, after Mr. Universe, I stayed here in the United States as a working student. I was enrolled at the University of Maryland and was taking more physical education courses and working part time as a gym instructor in a fitness studio in Baltimore. This was a chain of studios that branched out all the way to Florida. At that time, I didn’t know Arnold stayed in the United States too. By coincidence, Arnold worked with the same company I was working with. A year after the Mr. Universe Contest in 1970, we bumped into each other. I didn’t know he was hired by the same fitness studio. One day I reported to work and a huge crowd was forming outside of the fitness center. I thought there was a fire or something.. And said what’s going on? Someone replied, “Mr. Universe is here and he is working out.” I went inside and immediately Arnold recognized me, yelled out and waved his hand. “I remember you, you are Mr. Philippines,” and Arnold gave me a big hug surprising everyone, including me. After he finished his set, I was approached by so many people wanting pictures and autographs with him, I whispered in his ear asking him if he had time. Arnold replied, “No problem.” Went straight to the ladies, gave one a hug and kiss and said, “Come on let’s take some pictures.” Everyone was just shocked (laughing) Straight away the personality of the man and his charisma shined through. That’s the way he was even before he was a movie star. KSW. Kind of like hanging with Elvis. That’s cool Roland, thank you for sharing those memories. Well, Roland, you are quite famous and well know also. Not only in the Philippines but also worldwide. Martial arts and bodybuilding opened the doors for your movie career. Well, humble as you are, you are essentially the Arnold Schwarzenegger of the Philippines and quite famous in your own right. I have enjoyed your movies for years and shared those films with my friends and students. You have been instrumental in giving the Philippine Martial Arts a lot of exposure worldwide incorporating the Art in your action adventure movies. You include not only training and fighting sequences but the historical significance and cultural connection Arnis has with the people of the Philippines. Please share a bit about that history. R.D. Thank you very much, I feel honored by your statements Datu … I owe a lot first and foremost again to Professor Presas. It was actually Pacific Connection that broke me into the movie world and started my career. 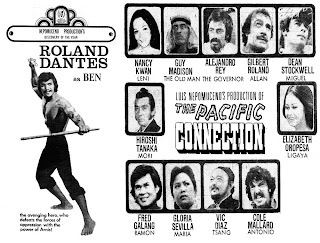 Because of the success of Pacific Connection with me playing the lead with Hollywood stars like Nancy Kwan, Guy Madison, Dean Stockwell and the Japanese Samurai actor Hiroshi Tanaka, who also starred with Charles Bronson in the American Western Classic “The Red Sun.” That initial exposure gave me the break I needed to become established in the movies. Sometime after the Mr. Universe Contest, I returned to the Philippines and was a guest on a television talk show. A movie producer approached me after the show and offered me the role. I didn’t even know I was going to play the lead role I was just excited to be asked. When I found out the movie was about the Filipino Martial Arts and Arnis to be featured in the film, straight away it must have been destiny because I was then a student of the Professor (Presas). It coincided that I knew the Art because of the Professor and right away we worked close together as the Professor choreographed the beautiful fight scenes, Arnis verses the Samurai. With due respect, of course, to the Japanese martial arts, the Professor Presas choreographed the fight scenes in a way that we never put down or plays down. The Japanese art in the fight scenes it played on even lead just to give the respect, so to speak. The Pacific Connection was beautifully choreographed and the success of that movie led to the follow up movie, Sticks of Death. After the movie, many Hollywood producers and actors realized the beauty and value of the Filipino Martial Arts and included the Philippine Martial Arts in their armed and unarmed combat scenes. In fact, Steven Segal’s empty hand, a lot of his moves come from the Mano y mano techniques of the Filipino Martial Arts. I worked with Chuck Norris in Delta Force II. The film was shot in the Philippines. They even consented to my proposal that they include the Balisong with Chuck Norris fighting the bad guy, actor attacking him with the Filipino knife Balisong, the Fan Knife, the Butterfly Knife. KSW. Thank you, Roland. Roland, could you discuss the meeting you had with Dan Inosanto. R.D. Yes, I first met Dan in 1975, Professor Presas and I were invited to his school in Torrence, California. Hollywood actor Dean Stockwell drove us to the training center. When we arrived a class was in attendance and Richard Bustillo was beating the drums for rhythm, it was a very impressive class. After the training session ended, Dan asked the Professor to give a demonstration. Dean Stockwell and I assisted in the Arnis presentation. Following the demo, Dan's students purchased copies of Professor's book and rattan sticks brought in from the Philippines. It was indeed a very eventful meeting enjoyed by everyone in attendance. Several years later in 1981, I believe, on the island of Kuai, in Hawaii, I had been invited by the Filipino Arnis Committee to show my film, "Sticks of Death" for a fundraiser. They approached me in the Philippines to participate in a cultural event so I brought Arnis Sticks of Death for a special showing in Hawaii, first Honolulu, then Kuai. I was surprised when I got to the island, it was public holiday. The governor, George Archosi, had declared it a special holiday in honor of Grandmaster Floro Villabrille, who lived in Hawaii for many years. A big event was scheduled to celebrate the Kali Grandmaster. The premier showing of "Arnis, Sticks of Death," and the celebration event just so happened to be scheduled for the same evening. A very exciting time for Philippine Martial Arts. A very dynamic demonstration in honor of Grandmaster Villabrille was presented. Master Ben Lagasa, Greg Lantayao, Lucky Lucaylucay, Master Bao Bao, Wally Jay and others. So many skilled martial artists together. Imagine a public holiday declared on that island just to honor and celebrate Grandmaster Villabrille, life long commitment to the Philippines Martial Arts of Escrima and Arnis. KSW. Dean Stockwell became involved in Arnis mainly for the movie Pacific Connection. Did Dean continue his training after the movie? R.D. Yes, Dean and I worked together on that movie project, Professor Presas was selected as the technical consultant for the fight scenes and additionally trained Dean Stockwell, Guy Madison and Alehandro Reyes in the Philippine Martial Arts. Dean got so enthused with Arnis that his training embraced the complete Modern Arnis curriculum. Dean studied long and hard at Arnis. Several years after the movie when I came to the United States I met with Dean and he had a group of Arnisadors all training at his home in the Hollywood Hills. I believe it was 1981 in Tapanga Canyon. Dean shared his knowledge with quite a few other actors including Jack Nicholson whom he was close friends with. Dean was filming a TV series or movie he wasn't shy, he was very dedicated to Arnis and let it be known that he loved the art. KSW. That's pretty cool. Roland, maybe you could expound on the state of the art here in America? R.D. Yes, yes. I would have to say it's incredible that's the word I would use to describe the explosion of Philippine Martial Arts over the years. The acceptance of Arnis, Kali, Escrima and the Philippine Martial Arts which interconnects any martial arts discipline has become a reality to the martial artists here in the United States, as well as Canada, Europe and worldwide. I would like to commend all the propagator of Filipino Martial Arts for their hard work and personal efforts. Additionally, my personal respects to you, Datu Kelly Worden, because you've accomplished so much in terms of incorporating the flow, and following through with what Professor Presas refers to as the "Art within your Art." Just watching you instruct I can see you've interconnected so many concepts from one discipline to another. Your methodology beautifully flows from weaponry to empty hand and vice versa. I honor you for your convictions, it is no wonder Professor entrusted you with the coveted title of Datu because you deserve it. As Professor recently confided to me personally, you are the most dynamic and creative of all his Modern Arnis students and senior of the very few he has promoted to Datu in his many years of teaching, a true honor I attest to. KSW. Roland, a close friend and martial arts brother of ours was recently promoted to the status of Datu. What can you tell us about Halford Jones? R.D. Yes, Halford has been a long time resident of the Philippines. He is married to a Filipino. Halford has dedicated an enormous amount of years to training and researching the Philippine Martial Arts. I believe it was Grandmaster Porfilio Lanada that recognized Halford Jones for his contribution for what he has done for the Lanada system and Philippine martial arts in general. Grandmaster Lanada is a very good friend of mine and I spent time with him last year. He is recovering very well. As the Filipino martial arts world knows, Grandmaster Lanada unfortunately suffered a stroke about two years ago, I am happy to say I spoke with him last year and he is recovering well. KSW. Since we are talking about close friends, I'm excited to inform you that Christopher Ricketts was here in the United States and spent time teaching on the west coast. Sgt. Kevin Underwood arranged for his visit and I was more than happy to offer him a couple days with my military group of soldiers at Fort Lewis, Washington. He trained mostly Espada Daggar and we had a great time. Of course, it is good for the military to experience the value of cross training in different styles. Christopher Ricketts is a very dynamic instructor and also a very close friend of the late Edgar Sulite. If I remember correctly in our past conversations, Edgar Sulite was also a close friend of your's while you were both in the Philippines. It seems like such a small world sometimes since we have all come together recently. I was totally excited to have Christopher Ricketts to come through, as one of the inheritors of the Kali Illistrimo System, he has much to share, as well as Tony Diego, Christopher's senior in the system. Edgar Sulite was great practitioner and he is missed dearly by the Filipino martial arts community. I know you were instrumental in assisting him in his efforts to spread his art. Additionally, Thopher presented me with one of Edgar's knives and his first book in which a picture of your wife and you were in. Can you share a little about Thopher and Edgar? R.D. Thank you again Datu Kelly, Thopher Ricketts was one of the stalwarts of the KAFAHIL, which is the Karate Federation of the Philippines. In his younger days, I call him younger because I am much older than him. I will put it that way (laughter). He was under the direct guidance of the late Dr. Gilarimo Lengson. KAFAPHIL is the Filipino style we call it that way because it incorporated additional techniques not traditionally Okinawa or Goju karate. He did this in such a way he could not call it traditional karate such as the JKA, Japanese Karate Association, mainly because JKA had set standards and Dr. Lengson modified traditional karate into a Filipino style of its own. Dr. Lengston was a compadre of Professor Presas along with another Grandmaster Johnny Chutan; they were very close. Together they worked in establishing a combination of styles. So, Thopher was one student I noticed in those years that was very good in his techniques and forms. At that time, I was hosting a martial arts show. In fact, it was the first one on national TV, very successful. We lasted for about 3 1/2 years. I was sports casting for that show on three different channels. We were the first one's to put up live, full contact karate martial arts shows on television in the Philippines. It was an afternoon program on the weekends and we had very good ratings. At that time we had the U.S. Air Force, Clark Air Base, so the Air Force guys would come over and fight full contact with the gloves and safety equipment. Some of them even competed in the first Arnis competition. We had one competition because the show sponsors didn't know about Philippine Martial Arts. That's the sad part of it, right in the Philippines, the Philippine Martial Arts unfortunately should I say, did not have much support then, you know like other martial arts. To get the program it was then called Karate-Arnis Filipino that was the name of the show, "Karate-Arnis Filipino" that means "Karate in the Filipino-way and Arnis." So we had full contact competitions and Thopher was one of the competitors regularly. We had weekly champions and monthly champions. As competition progressed each monthly champion would fight in the finalization of the show to establish the champion of the year. If I am correct in my memory, Thopher reached the finals one year, but that was how I remember Thopher years ago. Those were exciting times in my career so long ago. Thopher was quite close tot he KAFAPHIL Group. My younger brother actually was more senior to him because he was with the Master Johnny Chuiten and Dr. Lengston as well. I would like to invite him here to the United States when he has time. He is an airlines pilot right now and travels all around the world. He flies for Saudi Air but he is a martial artist too and knows Thopher very well. My wife and I in fact were invited to Thopher's wedding in the Philippines. He has done very well and has accomplished a lot for the Philippine Martial Arts I have to commend Thopher for that. KSW. Let's talk briefly about Edgar Sulite. Edgar has passed recently and I think people would enjoy hearing how special he was to the arts and about his dynamic impact on the martial arts. R.D. Yes, he was Datu Kelly, he was a very dynamic martial artist, as a young man, I first met him when he came to Manila. Edgar came from Osami City which is the Mindinnao, the same island that I am from. I had never met him before, but he had seen one of my films. I'm not sure if it was "Pacific Connection" or "Sticks of Death". He found out where my gym was located, I had a gym at that time with my partner, Rusty Santos. Professor knows him too very well. At that time in Manila, this young man came over and introduced himself and he said he was a practitioner of Arnis. His master was Master Caballara from the south. I said oh, I had heard that name but I never had the chance to meet Master Caballara. I would to have loved to meet him. So straight away Edgar said, "Can I show you our moves?" Of course, I responded I would love to see your art. I had one side of the gym which was like a private training area so it was just him and I. So when I saw him move, I said to myself "This guy is good." And Edgar said to me, "very good techniques you have." We got along great and he asked me "Would you mind if I trained here?" "Of course, look, you are welcome to work out here anytime you want to." Straight away I told him. Because he had just moved here with his family in Passai City, I even drove him home, you know .. and I said, "You come over here (to my gym) and I will get you some private students while you are here working out." That's how we got to know each other very well, Edgar shared with me his now world renowned Lameco style. In fact, the year he passed away he contacted me and wanted to have a reunion together. I said I would love to go meet him in the Philippines. I was still in Australia at that time. I was so shocked when I heard about him passing. Thopher contacted me and informed me of the sad night that it happened, all very sudden. I have to commend Edgar for the time he had spent in the United States. When he came here, he was able to propagate his Lameco style, Largo, Medio, Corto. Which is long range, medium range and close quarters that's what Lameco means. He was able to share this system with other forms of martial arts. Before he left for the United States he called me up and said "I'm doing a book, I'm going to make a book Brother Roland." I said, don't forget to mention the other masters too, so I commend him, may he rest in peace. I know he is with God. So, well done Edgar. KSW. Thank you Roland. This has been Kelly Worden for KLAY Radio "On the Edge" with Roland Dantes, world famous martial artist, former Mr. Philippines Body Builder, great practitioner of the martial arts and close friend of Professor Remy Presas. We will be hearing more from Roland Dantes when we cross reference our interview with Professor Remy Presas. Roland, thank you for joining us today.